Plans for a major housing development in Magherafelt have been welcomed by local politicians. The residential development of 120 houses - 30 detached and 90 semi detached - is expected to be located on lands between Coolshinney Road and Moneymore Road. 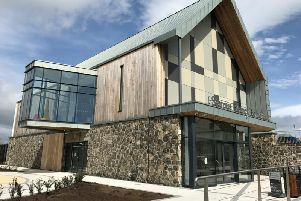 There are three objections to the applications which was passed by Mid Ulster Council's Planning Committee on Tuesday. The site had previously been under consideration as one of four out of town shopping centres before being withdrawn. It is hoped the proposed development will go towards the south Derry town’s demand for additional housing to reduce the waiting list, which currently stands at around 500. A few years ago the local council met with planners, Housing Executive officials and Housing Association representatives to discuss land availability and what will be required immediately and in the future. Welcoming the Moneymore Road development, DUP Councillor Paul McLean said it would provide a good choice of mixed housing. “I viewed the plans and there is a good spread of detached and semi detached dwellings which would be suitable to everyone, including first time buyers,” he said. Councillor McLean said Magherafelt needed additional housing to cope with its expanding population in recent years. Local SDLP Councillor Christine McFlynn also welcomed the development. She said more housing in Magherafelt and other Mid Ulster towns was something her party has been pressing for. “This will go towards reducing the waiting list in Magherafelt,” she said. She added that more people deciding to make their home in Magherafelt would be good for local businesses. In addition to the 120 dwellings, the planning application also consists of associated road accesses and provision of amenity space.